Yes, this is the salad dressing that will make your lettuce do the Cha-Cha!! 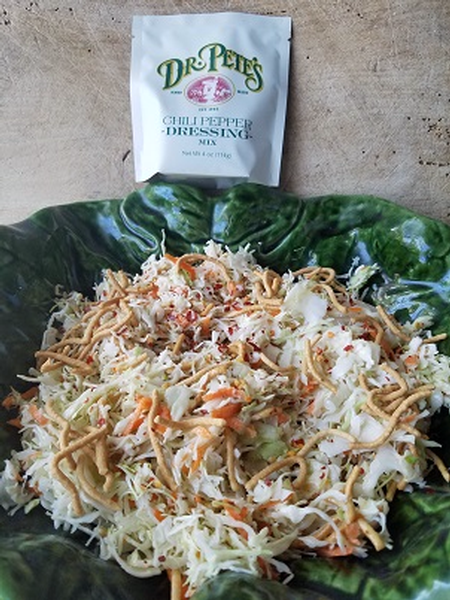 Chili Pepper Dressing is the perfect combination of sweet and spicy for your salad, cole slaw, or even as a dip for boiled shrimp or chicken fingers. Just add oil, apple cider vinegar and mayo for the freshest Chili Pepper Dressing ever. An old favorite in a new form! All natural and preservative free! Makes about 16 oz.